PC-3000 SSD works only with ATA-based SSD. That means that right now such models as Samsung 970 Pro / 970 EVO or Apple MacBook Pro Retina SSD’s are not supported, because they are based on miniPCI-E interface (NVMe), and does not have SATA controller inside CPU. It possible to recover data from SSD only in case if SSD drive does not have any problems with hardware part – CPU, NAND memory chips and PCB should be in a good condition. Such drives should return some status on ATA registers when you send power supply. They might be in BSY, might return strange capacity or wrong ID and so on. PC-3000 SSD does not support SSD recovery only by controller. First of all – PC-3000 SSD support combination of Firmware (Manufacturer) and controller. It’s very important, because some manufacturers use similar controllers but different Firmware with different technological mode commands, and such drives become unsupported. For example – We completely support 88SS9174 Marwell controller, which is presented in Micron, Plextor, Sandisk and Crusial drives – they have similar FW. But at the same time, some of Lite-On drives based on the same 88SS9174 CPU are not supported, because their firmware microprogram is completely rewrite by Lite-on company. At the same time, modern families of Silicon Motion and Phison drives, have a default platform SM22xx and PS31xx which are very similar. So, if you will catch Kingston drive based on PS3109, it would be also supported, even if such Kingston model is not in support list. Right now all our forces are dropped on developing and adding in support list the most popular SSD drives in mSATA and SATA form-factor. Right now we have a lot of questions about M.2 and apple SSD support, but unfortunately such drives are very rare in our region, and we don’t have enough donors. If you want – you can contact with our technical support and send for us several SSD with such non-SATA interface. We will be interesting in research works. Even if SSD drive is not supported by PC-3000 SSD, but it has a problem with File System, with deleted information or missed files – you still can use the Data Extractor for getting access to user files! PC3000 SSD is using only for cases, when Solid State Drive has a serious problem with internal Firmware, translator tables and other logical issues! So, here is the list of supported drives, grouped by Utilities. Current version of PC-3000 SSD software is 2.6.5 and it is a part of PC-3000 UDMA-E\Express\Portable 6.5x software. MOSTLY ALL OTHER DRIVES BASED ON SM2246 (Intel modifications are not supported!). MOSTLY ALL OTHER DRIVES BASED ON PS3105/PS3108/PS3109/PS3110/PS3111/Toshiba TC58NC1000/Kingston CP33238B CPU!!! ALL OTHER DRIVES BASED ON IDX1xXX CPU!!! This entry was posted in Articles, Data Extractor, PC-3000 SSD and tagged PC-3000, PC-3000 SSD, SSD, SSD Recovery. Bookmark the permalink. Thanks for updating! When will you support Marvell 88SS9189 in Sandisk SDSSDHII? Is 850 EVO already supported? Hello Aleks. We officially support only those models of SSD which are present in current article. 850 EVO is not supported now but we are going to add it in future. Are you planned to support Samsung EVO 850 in the nexts months? Right now all modern Samsung drives have a digital sign. Without this sign it’s impossible to modify ROM and native firmware. Anyway, our developers are working under solution – this problem is pretty complex that’s why it is require more time for solution. Keep watch our news. We are working on new families of Samsung drives, but unfortunately right now we don’t have exact date when they will appears. Does support Phison PS3110-S10 which is used in Kingston SSDNow KC400??? No, it doesn’t in current version of PC-3000 SSD. But we are going to add it in next update. Please keep watching our news. Hello support, now Phison PS3110-S10 version support or no ? Hello. PS3110 will appear in PC-3000 SSD 6.4x. Keep watching our news. Hi, SK hynix SH920 Series SSDs are based on LM87800 controlers, same as Seagate 600 series and Corsair Neutron series, will you add support to SK hynix SH920 Series? If so, do you need any samples? Thanks. Hello Steven. SK Hynix just started to make their own SSD. It’s a new drives and they are not popular. As the result – we didn’t get such drives before. I hope that during 2018 we will get enough damaged drives for research. 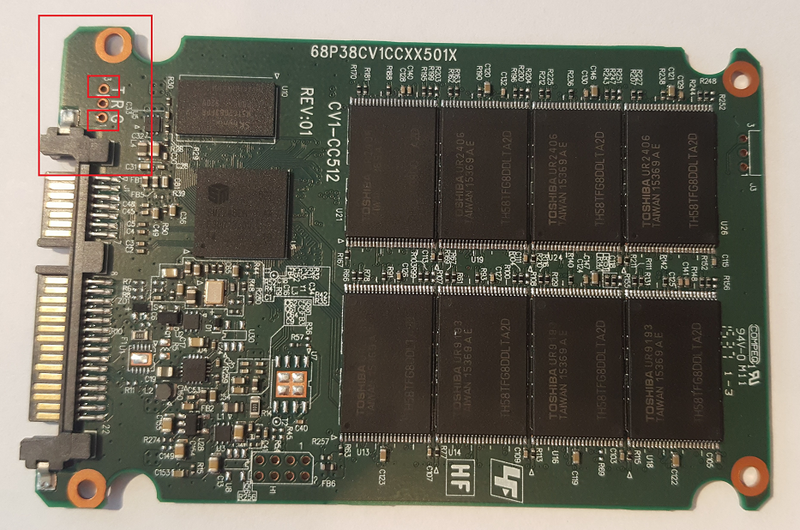 Maybe new Utility for SK Hynix SSD will appear later in 2018. Any idea when the Sandisk X400 will be supported ? Our developers are working under Marvell-based Sandisk drives. They improve utilities which already exist, and they going to add a few new models in nearest future. Hope that X400 will appear in nearest future. Hello Roberto. Thanks for your thoughts. We will do it in next time. Hi! Does Sanddisk Ultra II is supported? Hi! I am eager to know whether PC-3000 support Marvell 88SS9187-BLD2 of Sandisk SD6SB2M512G. I have 10 clients ask for solution. Hello. This model is not supported. In nearest update are are going to add complete support only for Sandisk Ultra II and Sandisk X300. Hi! Does the next update include Intel SSD Pro 5400S Series? Thank you very much. Best regards. Modern Intel drives contain a very complex encryption system. We are not sure that they will appear in support list in this year. Hello, I wonder if it is possible to remove bad bytes from ssd? Thanks in advance. BadBytes (BadColumns) would be automatically removed on the translator level by SSD itself. There is no need to remove bad bytes on SSD, if you are using Technological Mode. You have to pay attention to BadBytes only if you are reading dumps directly, without translator influence (through chip off, for example). How do estimate the chance to ever be able to recover from a Indilinx Barefoot2 controller? Drive is OCZ vertex R2 plus 120gb. Not on your list. Barefoot 2 and Everest 1, Everest 2 – are pretty old and rare controllers, Barefoot 1 and 3 were much popular. Our engineers prefer to add in support list more popular and actual drives. I saw your previous comments about the marvell controller that you intend to support it with sandisk in 2018. Hello. BSY-state Marvell-based drives are not supported, but in the next update some Sandisk SSD based on Marvell would be added, even if they would be in BSY state.